Tap 1 area to cycle face colors, black, blue, grey, brown, green and red. Tap small seconds sub dial to start/stop Chronograph. Tap small chrono minutes sub dial to reset Chronograph. Tap 11 area to cycle dim modes, Auto Always, On Normal, Always On, Off and Auto On. Default is Auto On. 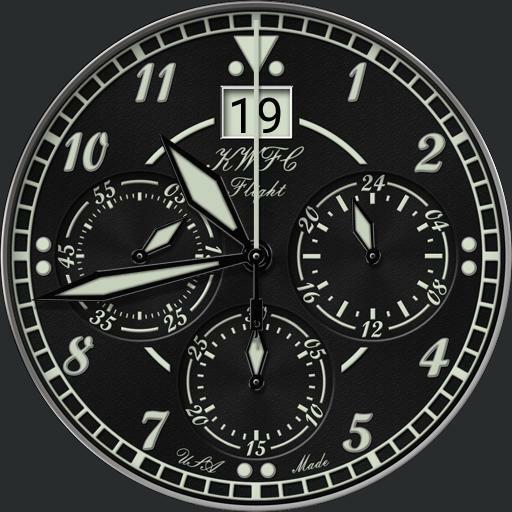 Tap 24 hour dial area to change 24 hour hand mode, 1 = Local 24 hour, 2 = UTC, 3 = TZ1 and 4 = TZ2 and 5 = TZ3. Chrono Seconds hand is watch battery level indicator in dim and functions as follows.. pointing towards 1200 = 100%, 900 = 75%, 600 = 50%, 300 = 25% etc.